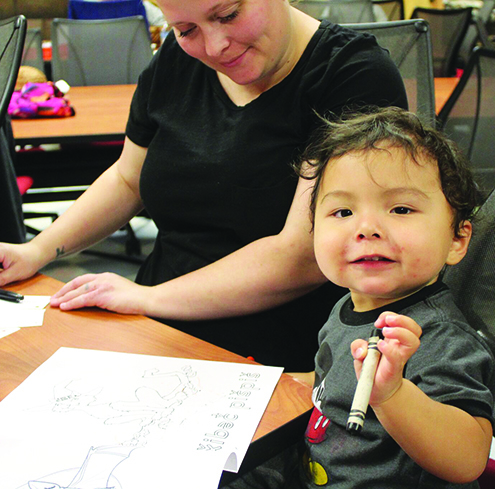 At the beginning of the 2017-18 school year, the Betty J. Taylor Early Learning Academy, the Lushootseed Language Department and the Rediscovery Program teamed up to bring Family Cultural Gatherings to the young students of the Academy and their families. The gatherings are held at the Academy every Tuesday and alternate between a one-hour class at 12:00 p.m. and a two-hour class at 5:00 p.m. weekly. 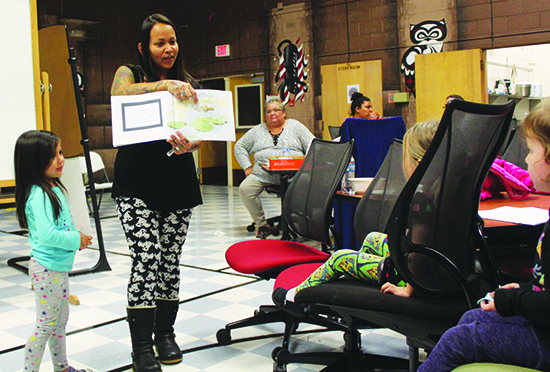 Families can learn traditional Tulalip Lushootseed Language by means of storytelling, song and interactive lessons. Quil Ceda Tulalip Elementary and Tulalip Heritage High School. The Language Department also offers Lushootseed 101, a college course through Northwest Indian College, to the employees of the Tulalip Tribes. This past summer, the Annual Lushootseed Language Camp was a huge success as over one hundred and sixty youth participated in the week-long language camp. The Academy wanted to bring this experience to the parents and siblings of their students, and the Cultural Gatherings presents the perfect opportunity for students to practice the language outside of the classroom. During the Cultural Gatherings, parents and students learn words, phrases and songs alongside one another. A meal is prepared by the Academy for the participants and each gathering begins with a joint prayer, in Lushootseed, to bless the food. The Language Department creates a fun learning experience for the families with book readings, flash cards, and songs as well as arts and crafts. Many students are familiar with the words and often assist their parents with pronunciation. 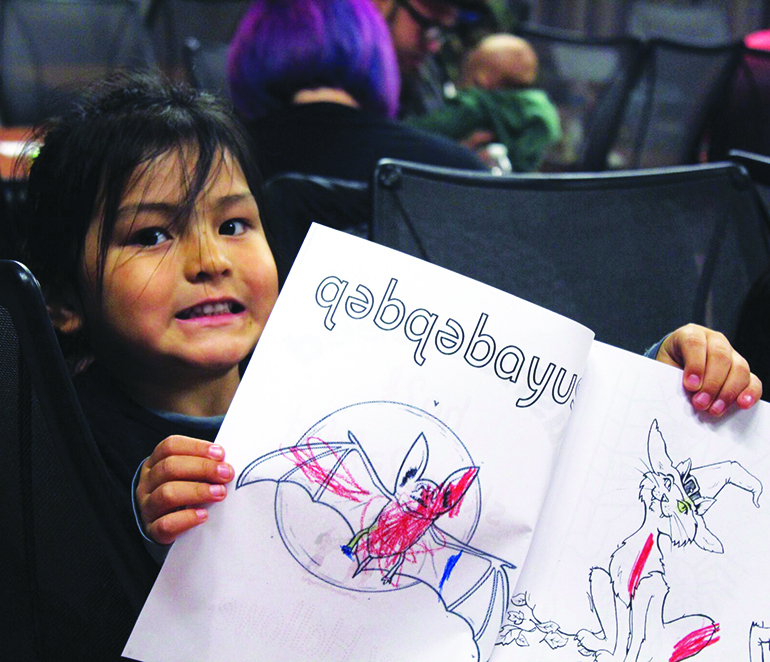 Lushootseed Language Teacher, Natasha Gobin, encourages families to attend the gatherings. The next gathering will be held on Tuesday, October 25 at 12:00 p.m. for more information please contact the Betty J. Taylor Early Learning Academy at (360) 716-4250.